Asia Durr, in feature photo, was back in action, scoring 14 points in 17 minutes. 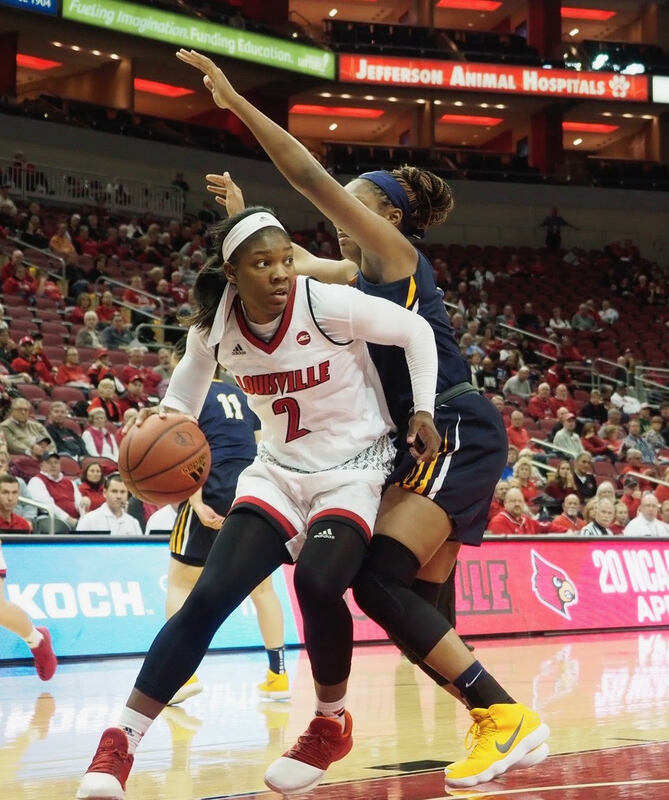 Sophomore Jazmine Jones, above, had her best college game, scoring 17 points and grabbing 10 rebounds (Cindy Rice Shelton photos). 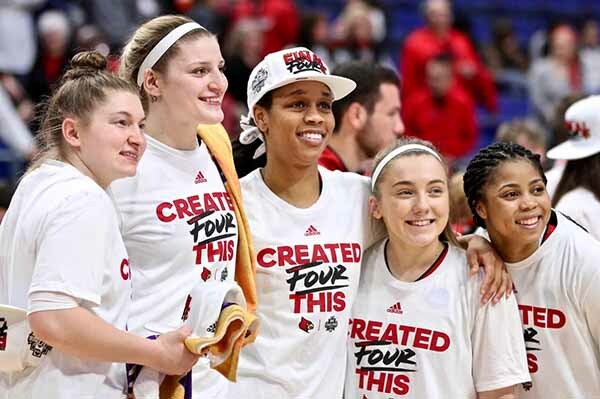 Toledo was focused on stopping Asia Durr two nights after she set an all-time single game scoring record of 47 points for the University of Louisville women’s basketball team. She scored only 14 points but she played only 17 minutes in this game. 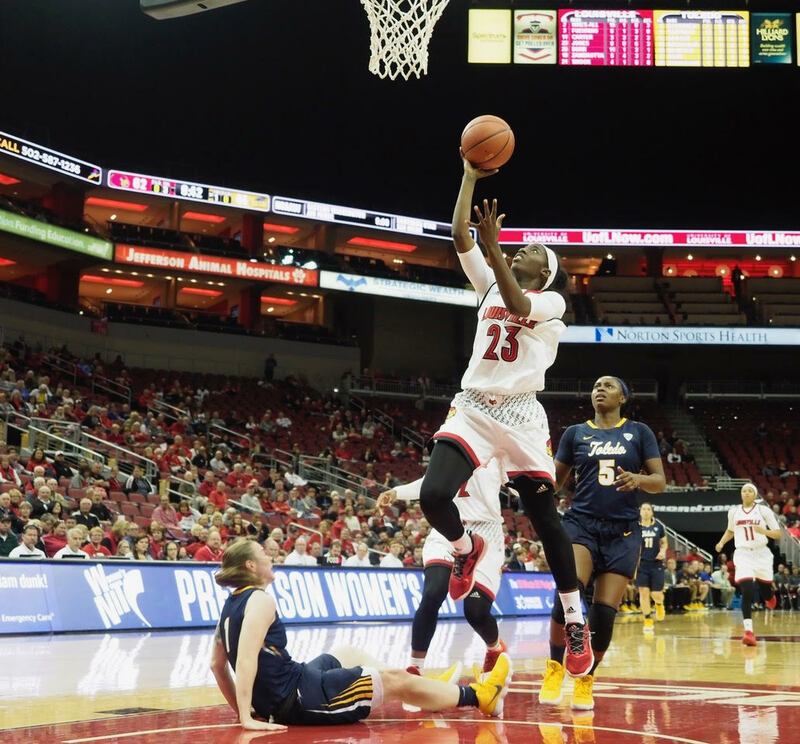 Myisha Hines-Allen looking for daylight beneath the basket, going on to score 17 points (Cindy Rice Shelton photo). 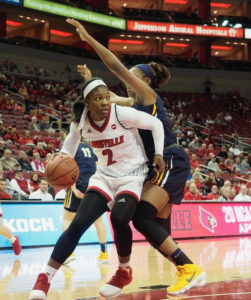 The visiting Rockets discovered there are some other scoring threats on this UofL team — namely Myisha Hines-Allen and Jazmine Jones who each scored 17 points apiece and pulled down 10 rebounds. 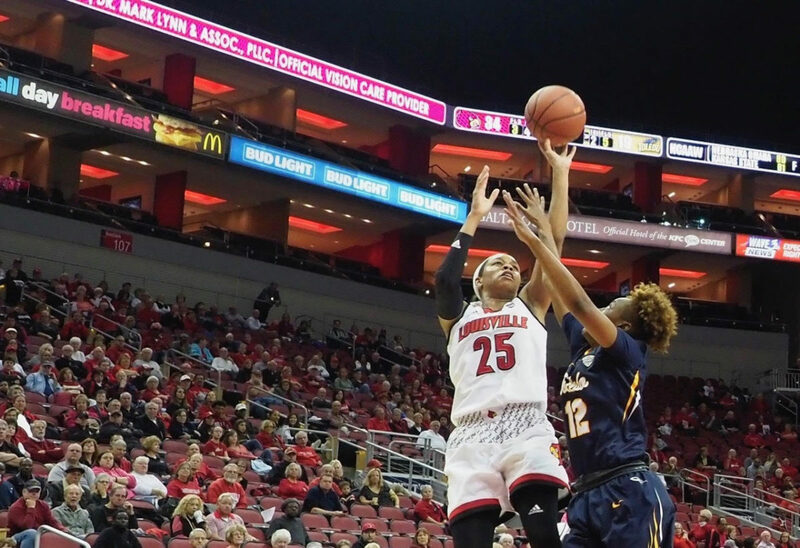 Plenty of power in the middle for the Cards this season, with Kylie Shook coming through with eight rebounds and four points. 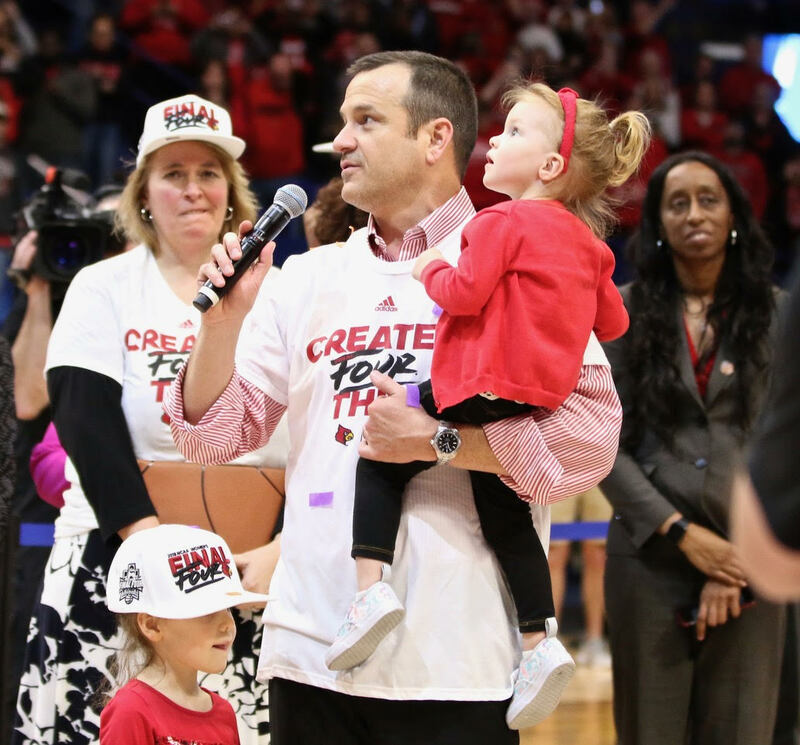 Louisville a 90-55 winner before a crowd of 5,444 at the KFC Yum! Freshman Dana Evans getting tons of playing time and filling up the stats sheet during her 27 minutes — six points, seven rebounds, five assists, two steals and, whoops, five turnovers. She’s a high energy player, confident and assertive. 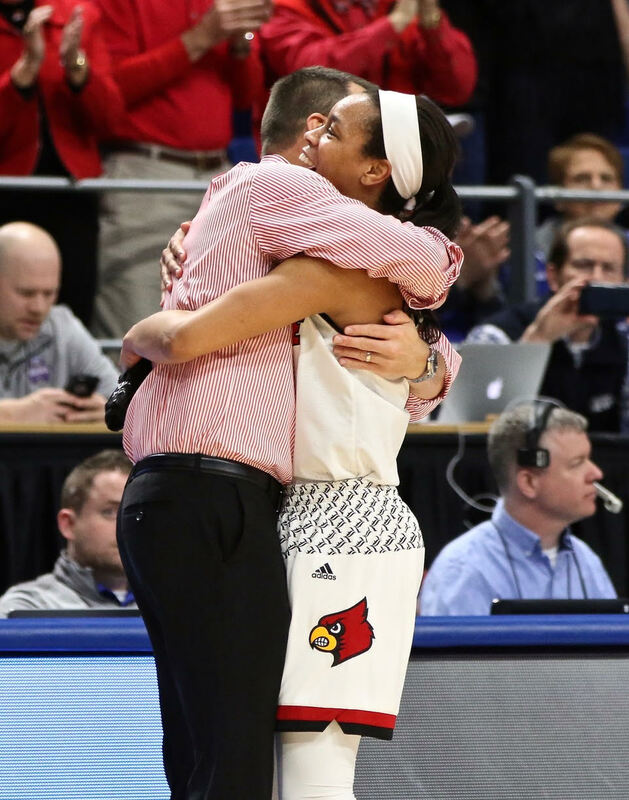 Junior Sydney Zambrotta also impressing Coach Jeff Walz with her defensive intensity, seeing 16 minutes on the floor, actually starting in the second half. Her 3-point shot still beautiful, sinking both of her attempts. 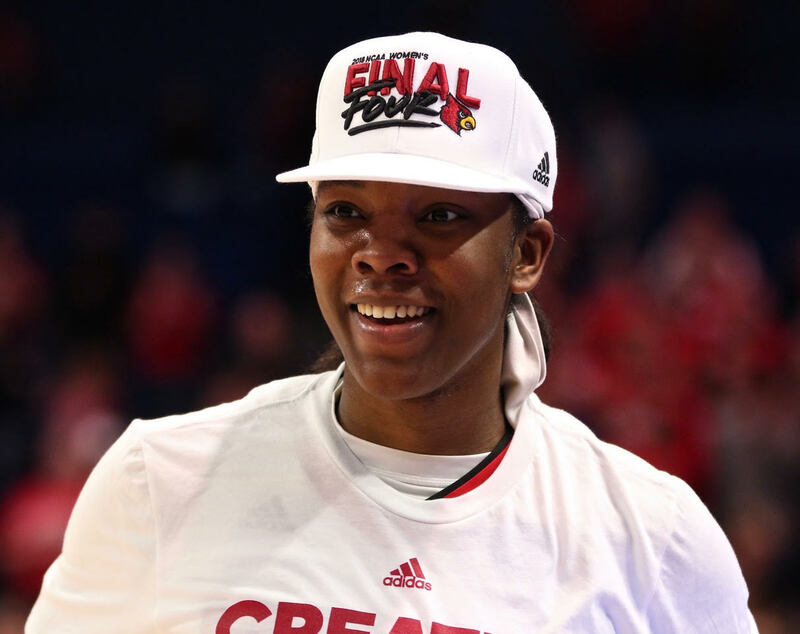 She also pulled in three rebounds and was credited with a couple of assists. The UofL women, ranked fifth in this week’s Associated Press poll, will host 24th ranked Michigan at 7 p.m. Thursday.